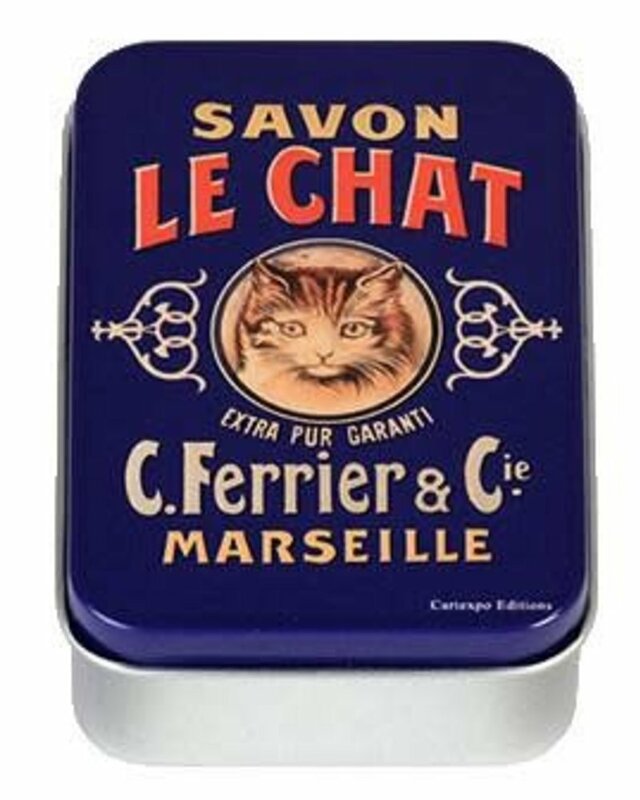 Store your trinkets in this delightful, mini tin box. The lid features whimsical imagery drawn from a vintage French soap advertisement. 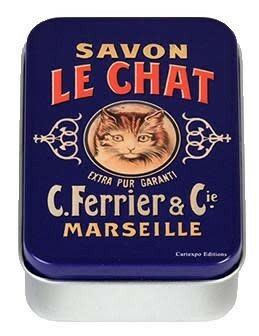 Who can resist Le Chat? 2.375" x 3.75" x 1"